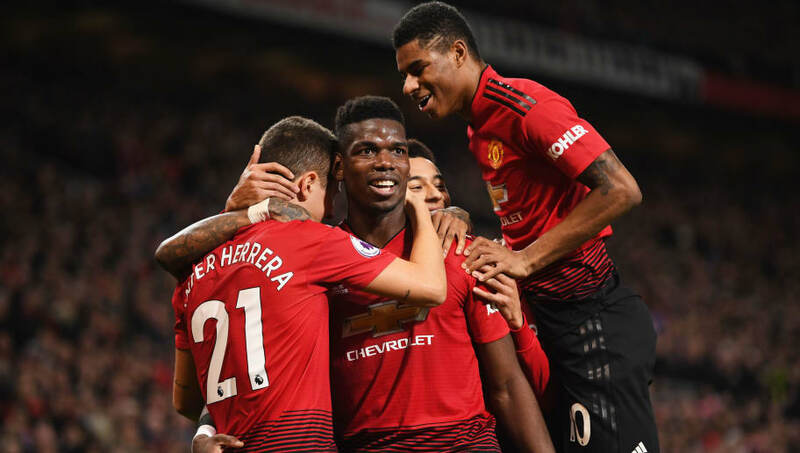 Ander Herrera has hailed Manchester United's interim boss Ole Gunnar Solskjaer for 'getting the best' out of his players, while revealing his own part in helping facilitate the resurgence of star man Paul Pogba. Solskjaer took over the reins at Old Trafford following predecessor Jose Mourinho's acrimonious departure and has led the Red Devils to nine victories from his opening ten matches in charge. With the club enjoying a remarkable upturn in form, and now seeing a finish in the top four as a far more realistic possibility than it looked before, Herrera heaped praise on his Norwegian for making the most out of the talent at his disposal. Speaking to ESPN, the former Athletic Bilbao player said: "When you're a manager, we sometimes speak too much about tactics, but the most difficult thing for a manager is to get the best from his best players. And this manager is doing it. We've all seen it. "Ole has that click with some players that they are performing at their best. Now, the most difficult thing is if they can keep it going over the long term, but everyone has seen that he had that click with the main players of the team. "He's getting the best from (Marcus) ​Rashford, he's getting the best from Paul (Pogba), he's getting the best from Anthony (Martial), from Jesse (Lingard), and that's not easy." One of his ​United teammates who has particularly benefited from the regime change is World Cup winner ​Pogba, who has six goals and five assists in his last eight Premier League outings. Herrera claimed that it is his and teammate Nemanja Matic's job to help Pogba feel 'free' in order to help him produce magic in the opposition half. Herrera said: "I think he is special, and we have to make him feel free. When he feels free, he shows his best. I always tell him that if he plays simple in our half, even in midfield, after [that] he can get his magic out and he can win games for us. "That's why he is playing at his best at the moment. I think we have to let him be free by defending his back sometimes. I think Nemanja [Matic] knows that, I think I know that, and as soon as we receive the ball, as soon as we win the ball back, we can play it to him."